Play video How good is Liverpool's record in Europe? 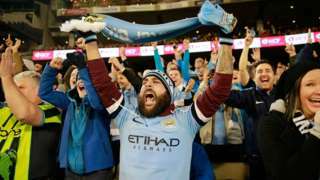 from BBC SportHow good is Liverpool's record in Europe? Play video Steve Davis: World's most unlikely DJ? 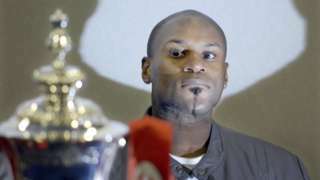 from BBC SportSteve Davis: World's most unlikely DJ? We're signing off for the weekend now. Don't want to miss any of this weekend's top sports news? 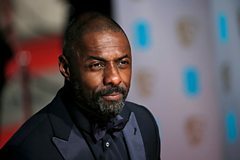 If you have the BBC Sport app on your phone, sign up to push alerts and we'll send you all the top breaking news. You can also add goal alerts for your football team. Saturday's Sportshour on the World Service will feature an interview with Vladimir Radmanovic on the retirement of five-time NBA champion Kobe Bryant. Sportshour Saturday is presented by Caroline Barker at 09:00 GMT (10:00 BST). Live coverage available on the BBC Sport website and smart phone app. 19:30 - 22:00 BST, Championship football - Follow live text coverage of two Championship games as Brighton and Hull look to maintain their promotion challenge. 19:00 - 22:30 BST, Bristol v Moseley - Listen to live BBC Radio Bristol commentary as Bristol face Moseley in the Championship. 19:25 - 21:30 BST, Scrum V: Ospreys v Treviso - Watch live coverage from the Pro12 as Ospreys host Treviso. 19:30 - 21:30 BST, Leinster v Edinburgh - Watch BBC Alba coverage of Leinster's Pro12 match against Edinburgh, with Gaelic and English commentary options. 19:30 - 22:00 BST, Gloucester v Exeter - Follow live text and radio commentary as high-flying Exeter Chiefs visit Gloucester in the Premiership. 19:00 - 22:30 BST, Super league and Challenge Cup: Huddersfield Giants v Warrington Wolves, Leeds Rhinos v Hull, Wigan Warriors v Castleford Tigers, Dewsbury Rams v York City Knights - Listen to live BBC local radio commentary from Friday's action in the Super League and Challenge Cup. Live coverage availabe on the BBC Sport website and smart phone app. 18:30 - 20:30 BST, British Swimming Championships - Listen to live radio commentary of the British Swimming Championships from Tollcross, Glasgow. 11:55 - 19:00 BST, Boxing Olympic qualifiers - Watch live coverage from Samsun, Turkey, as Europe's best amateur boxers compete for qualification at this year's Olympic Games in Rio de Janeiro. Wearable sensors sending performance data to the cloud are transforming the world of sport. The World Tonight's Paul Moss reports on two activist campaign groups and asks how much influence they could have on the EU referendum. 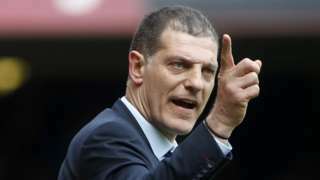 Boss Slaven Bilic is the perfect fit for West Ham's exciting future, says Match of the Day pundit John Hartson. West Bromwich Albion defenders Jonas Olsson and Gareth McAuley sign new one-year contract extensions until 2017. 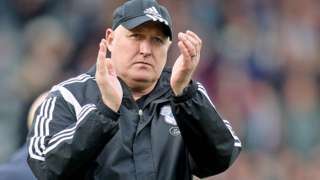 Cardiff manager Russell Slade surprised by reports that he will be offered a new contract, but believes he deserves one. 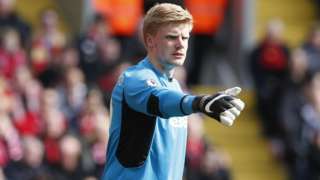 Stoke City boss Mark Hughes is prepared to switch between goalkeepers Jakob Haugaard and Shay Given if necessary. 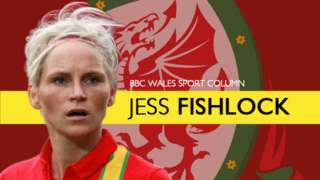 In her latest column for BBC Wales Sport, Jess Fishlock looks back at Wales' Euro 2017 qualification win over Kazakhstan. 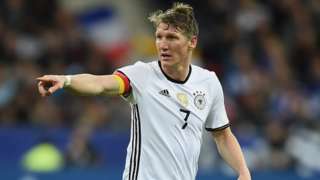 Injured midfielder Bastian Schweinsteiger is unlikely to play for Manchester United again this season, says boss Louis van Gaal. 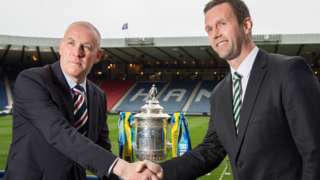 Celtic boss Ronny Deila says "at our best, we can beat anyone" before his side meet Rangers in Sunday's Scottish Cup semi-final. Former Chelsea defender Frank Sinclair leaves his role as manager of National League North strugglers Hednesford Town. Mark Warburton admits there is a gap between his Rangers team and Celtic but aims to close it next season.